The robust MBE mobile pedestal by Antonio Citterio for Vitra offers practical storage space for the workplace. Two models with different drawer layouts and optional interior fittings are available to store stationery in an organised way. The white mobile pedestal has four wheels made of polyoxymethylene, coated with a special plastic to reduce noise. Three drawers made of plastic provide enough space for staplers, pens, paper clips, paper and anything that facilitates the daily work. Everything is organised on three levels and discreetly hidden behind the powder-coated steel sheet structure. The MBE mobile pedestal is available with a small and a large drawer for files and folders. 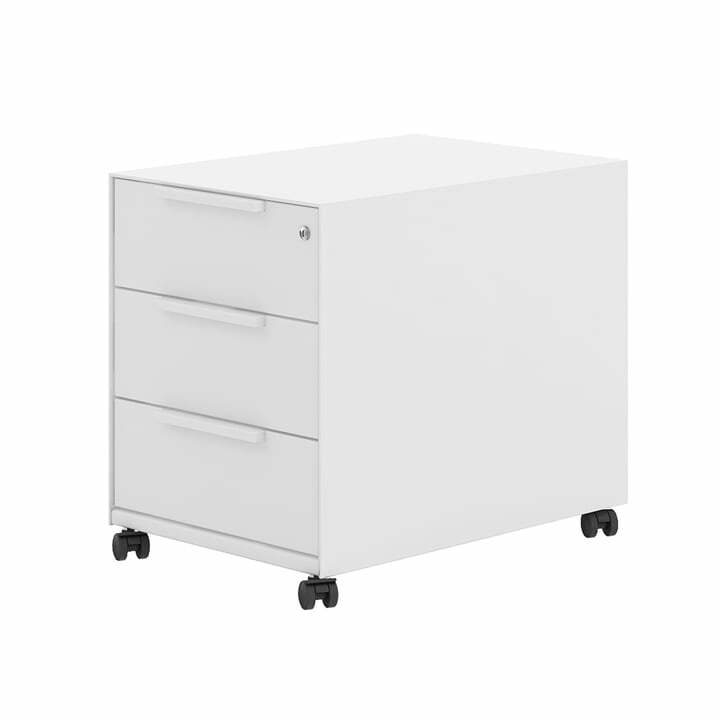 Isolated product image of the MBE roller container T60 by Vitra. The container consists of a powder-coated steel structure and the drawers are made of plastic. 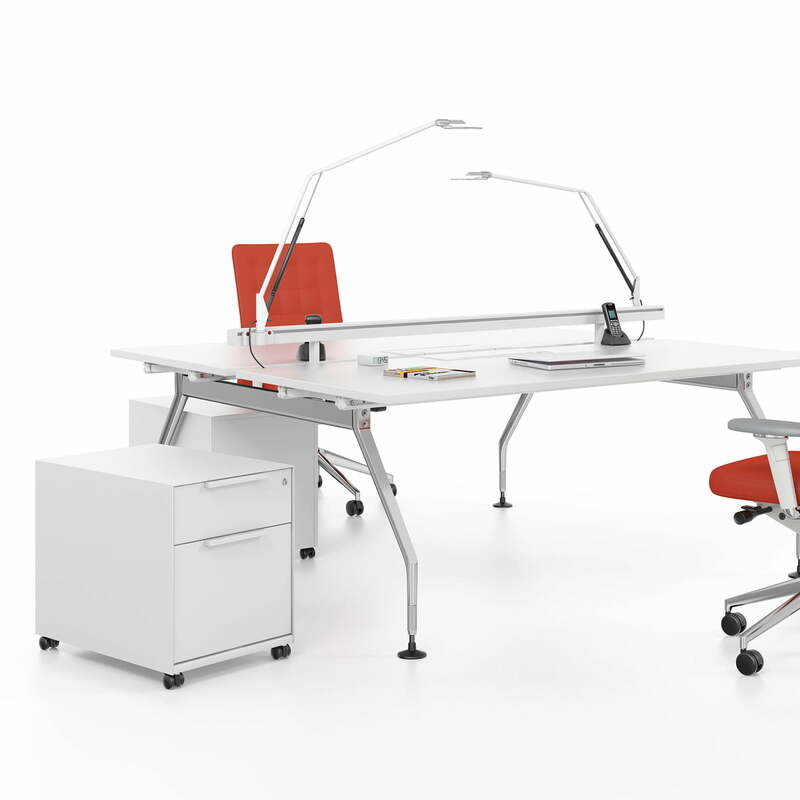 The robust MBE mobile pedestal by Vitra offers practical storage space directly at the workplace. Two models with different drawer layouts and optional interior fittings are available to store stationery in an organised way.